France’s most famous caves are to be found at the Grotte de Lascaux, 2km south east of Montignac, a five minute drive from ‘Les Granges’. Discovered in 1940 by four teenage boys looking for their lost dog, Lascaux contains a vast network of chambers and galleries adorned with some of the most extraordinary and complex prehistoric paintings ever found. Sadly the original Lascaux cave was closed to the public in 1963 because of the damage to the paintings caused by human breath and body heat. 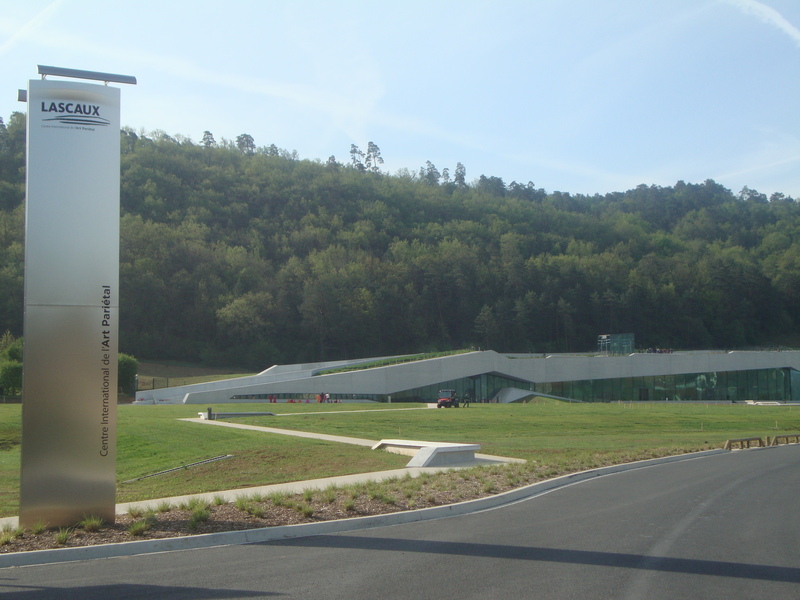 A new facsimile ‘Lascaux, Centre International de l’Art Parietal’ opened in December 2016 on the road up to the real Lascaux, an easy twenty minutes walk from ‘Les Granges’. It recreates in full the entire cave network and its paintings. and gives you an insight into cave painting generally. See www.lascaux.fr This is worth seeing. Tip: This is very popular. Buy your tickets in advance on the internet if you want a specific date. Ensure you book a tour with an English speaking guide if you are English! Some tickets are held back for booking nearer the tour date. There are many other caves worth visiting in the area, some with spectacular geological formations and others that have been inhabited over many centuries and generations.